Hi there. My name is GodRay. 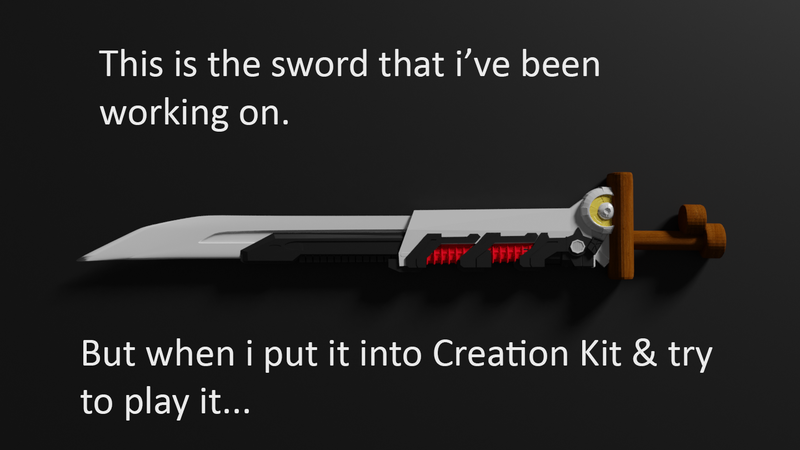 I currently learning how to create weapons mod, and i’m stuck with this one. This is a sword that i create (based on my toy :). It currently has no name, so i’ll just call it The Lolislayer. I’ve finished the 3d model & put it into the Creation Kit (even spending an entire day learning how to create ESP for it), but i just can’t get it to work.